A cosy hotel in the centre of Tampere, on the edge of the roaring Tammerkoski rapids and Koskipuisto park. All of the city’s services are within easy access. The comfortable relaxation suite with a sauna and swimming pool guarantee a relaxed stay. The hotel is a cosy place to rest in the centre of Tampere. The location next to the atmospheric Tammerkoski rapids and Koskipuisto park offer the opportunity to enjoy beautiful scenery in a quiet environment, yet right in the city centre. The stylish rooms and extensive room selection cater for all needs, and some of the rooms have an amazing view over the Tammerkoski rapids. In the cosy hotel restaurant you can enjoy delicious food and drinks. After a long day, you can have a relaxing break in the sauna and swimming pool, and exercise in the spacious gym. 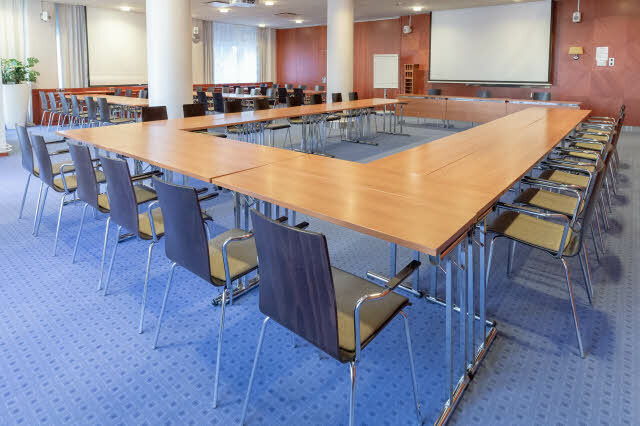 Our flexible and versatile conference facilties are perfect for organising conferences, events and parties. All areas of our hotel have free Wi-Fi. It’s easy to arrive and leave the hotel as it’s located in the centre of Tampere, within a short walk of the railway station and the bus station. You can enjoy the beautiful city atmosphere of Tampere in the area around the hotel. The rugged industrial areas with red brick walls, bridges and parks are Tampere at its best. Extensive shopping, culture and restaurant options offer plenty of entertainment. There’s a large playground in front of the hotel, and Särkänniemi Amusement Park is less than two kilometres away. You can organise conferences, meetings and events for up to 250 people in our versatile conference space. In the cosy restaurant cabinet you can organise great parties and private events.